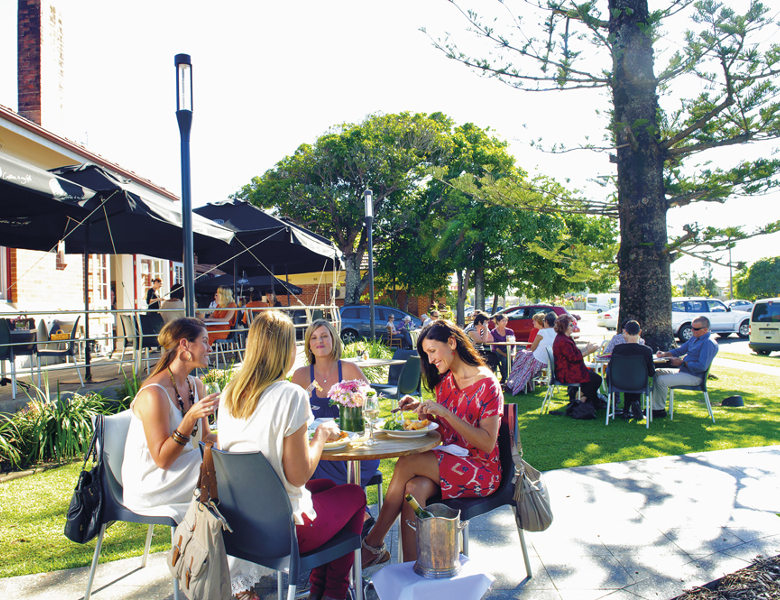 The Ballina Gallery Café is nestled in amongst 2 beautiful Norfolk Pine trees and gardens. Using fresh local produce where possible, this is a perfect place for breke or lunch. Enjoy the peaceful surrounds, and whilst there take in local artworks. The Gallery Café is part of the Heritage listed building constructed in the 1920's and first used as the original Ballina Council Chambers. The building has been recently restored to its original beauty and now houses both the Gallery Café and the Northern Rivers Community Art Gallery. The Gallery Rooms and Verandah offer indoor and outdoor dining. When used as one space the entire building holds up to 110 people with a series of rooms to suit all types of occasions and events. Open Wednesday to Sunday breakfast and lunch from 7:30am. **Dogs allowed in the outdoor seating areas.